AMAZING! This was a wonderful novel! What made the experience of listening to Hemovore the most enjoyable? Seth Clayton's narration, coupled with Jordan Castillo Price's words, were enthralling. Mark was hilarious, and I loved him from his first dry comment on to the end of the novel! I loved how real the world was, and how easy it was to relate their world to ours despite how different it was. The story swallowed me up, and I couldn't stop! Which character – as performed by Joel Leslie – was your favorite? Mark. Jonathan was a close second, but Mark was one of the best main characters I have ever had the pleasure of experiencing. YES! I had to force myself to turn it off and get any work done. I loved it, and will definitely be listening to it again and again! 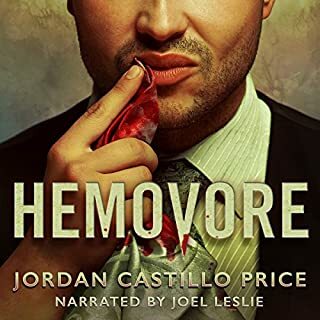 Jordan Castillo Price’s Hemovore is a fun and unique addition to the vampire novel genre, and Seth Clayton’s narration perfectly catches Mark’s dry approach to the world around him. The emotions come across clearly, and the story is completely addicting. From the moment I pressed play, I was hooked, and I have no doubt others will feel the same! Victor Bayne sees dead people for a living...and he sees them off the clock, too. After all, ghosts don't confine their appearances to a psychic medium's work hours. From the macabre to the mundane, from titillating to tender, these PsyCop shorts feature stolen moments between the novels. Get a glimpse of Vic's life with Jacob between cases, from both men's viewpoints. So glad to see more of these guys! An Amazing and Fun Listen! I love it! 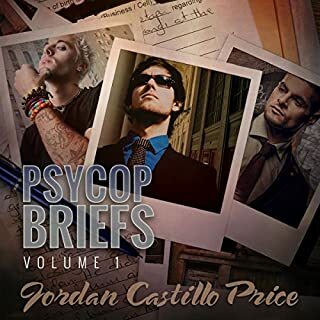 Jordan Castillo Price's Psycop Briefs is even better in audio format than it is in writing. Gomez Pugh voices all of the characters perfectly, and his Vic is absolutely amazing. I could listen to him read these stories all day! Price's words flow wonderfully in audio format. The various stories had me laughing aloud at times, and Jacob's own narrative is delivered in a voice both distinct from Victor's and completely complementary. The feelings were so real, something that I usually find lacking in audio formats - but not here! Once again, Price has delivered a book that is an absolute necessity for any Psycop fan! 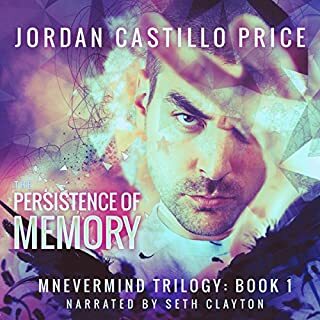 Audiobooks are usually my least favourite way to enjoy a novel, but Jordan Castillo Price's Mnevermind audiobook is a pleasure to experience. There were parts that had me laughing aloud, especially the reader's perfectly dry delivery of Daniel's humour. Seth Clayton was definitely the best narrator for this novel. The emotional ups and downs of Mnevermind were enhanced by this medium. Hearing the characters come to life made it impossible for me to turn off the novel. The story itself is equal parts fascinating and heart-wrenching. The intricacies of the Mnevermind world are fascinating, and the emotional ties Daniel has with the other characters in this book are fully formed and beautifully expressed. I own and have reread this series several times, but next time I intend to listen to this novel rather than read it. This audiobook is just that perfect.